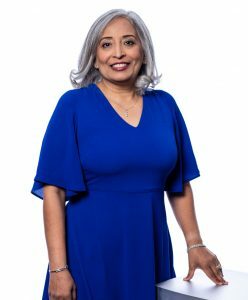 After taking a long break from a career in tech, Priti Shah returned to the corporate world as part of IBM’s Tech Re-Entry program—an internship program that provided her with the support and resources to reintegrate back into the workplace. Joining IBM in March 2017, Priti is a now a Software Engineer for IBM Quantum Computing working in Yorktown Heights, NY. Priti enjoys yoga and mindfulness, and in her free time she is part of a team that facilitates yoga classes at the IBM Yorktown site. In this installment of the Tech Re-Entry series, Priti shares her story and experience at IBM, and gives great advice to women contemplating on coming back to work. It had been over a decade since I took a break to be a caregiver. I was concerned about how much I needed to learn before I could contribute to a project. I have and continue to spend time to learn new things for my projects. The first thing IBM did was offer an alternate pathway to a career in STEM. Otherwise, hiring managers ask a question which is awkward to answer: “What have you done lately?” Secondly, I feel my mentor was critical to help identify existing core skills and capacity. Thirdly, my mentor identified what I needed to learn so I can contribute to the team. Eventually, I became more independent. When I started the search for something to do in the next phase of my life, everything was on the horizon. I needed a goal that would excite me when I woke up in the morning. Now I am creating software that people are anxiously waiting to use as it helps them facilitate their goals. How does it feel to be working on strategic projects again? It feels great to create things which are appreciated by my peers. There is a buzz in the air because we are creating something that will change the world of computing. I like to meditate before going to work. It helps me to get perspective before I start my day. At work, I usually write code or figure out what is going on in other people’s software, so I can connect with it. When I am not doing that, I am learning as much as I can about quantum algorithms and qubits. The IBM office in Yorktown is a very large complex, and when I need to think through a problem, I get up and just walk. It clears my head and, usually, I am able to determine the next thing I want to do. When I started the apprenticeship, I realized that I was not alone. There were other people like me who worked in STEM, took a break and wanted to get back to STEM. Based on your experience, what type of people does IBM look for to join the program? When I interviewed for the internship, the hiring manager mentioned something that exemplified IBM’s commitment to Tech Re-Entry. The manager realized that I had a break and was looking for someone who was a “go-getter”. I believe she appreciated that I was elected to public office for a seat on my town’s Board of Education, was willing to learn new things, had STEM education along with STEM professional experience. What is the best career advice you can give to someone who wants to go back to work after a long break? Don’t give up on your career; own the journey you have taken. Opportunities and pathways are now changing for women. Corporate opportunities are changing to acknowledge and support that women pursue and prioritize goals differently than men.